Prince Harry and Meghan Markle have become husband and wife in a moving rite at Windsor Castle. An emotional-looking sovereign and his smiling bride exchanged swears and doughnuts before the Queen and 600 clients at St George’s Chapel. Ms Markle, wearing a lily-white boat-neck dress by British decorator Clare Waight Keller, was sauntered down the alley by Prince Charles. 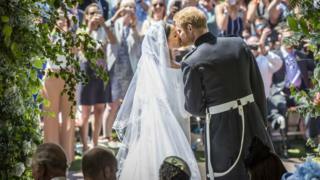 After the service the couple – who will now be known as the Duke and Duchess of Sussex – caressed in front of heartening well-wishers on the steps of the chapel. Thousands in the membership of the public turned out in luminous sunshine to appreciate them driven around Windsor in a horse-drawn carriage. Later, Prince Harry drove the couple to their receipt in a silver-tongued blue Jaguar, with a license plate that referenced the date – E1 90518. 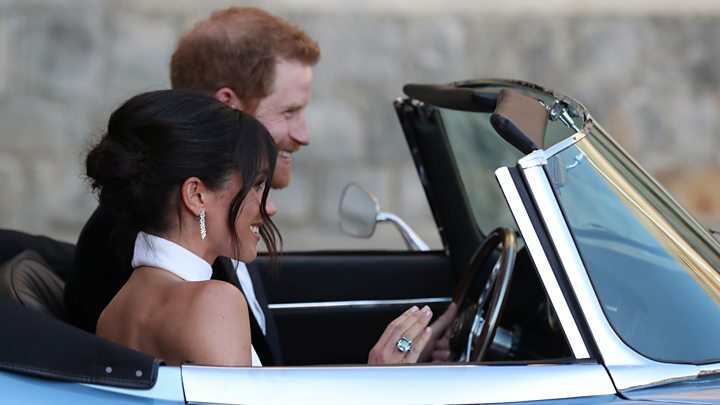 Guests at the bridal included Oprah Winfrey, George and Amal Clooney, David and Victoria Beckham and Sir Elton John, who subsequently performed at the wedding reception. 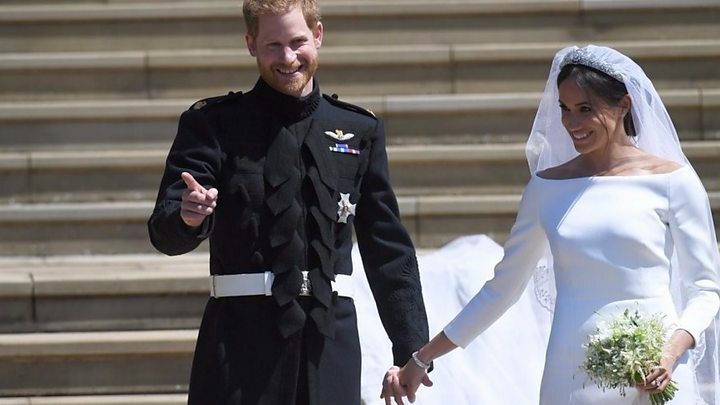 Ms Markle’s sculpted dress was designed by Ms Waight Keller for French fashion room Givenchy. Most astonishing was a diamond bandeau tiara, lent to her by the Queen, and a drag five-metre silk curtain embroidered with the flowers of each country in the Commonwealth. Prince Harry, 33, and two brothers and best man, the Duke of Cambridge, wore the frockcoat outfit of the Blues and Royals. However, the excite became too much for one of a very young ones who started crying just before Ms Markle, 36, had participated in the chapel.